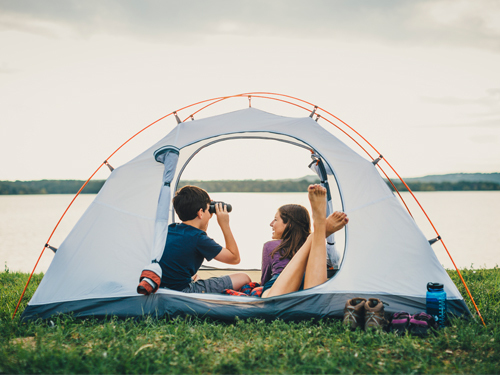 Summer brings warmer temperatures, abundant sunshine and an opportunity to go camping in Branson. 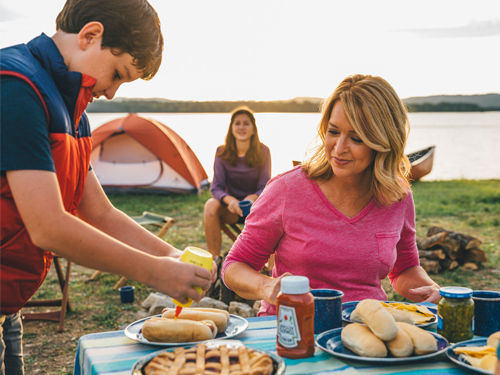 There are many campgrounds to choose from in the Branson area, whether traveling in an RV, towing a pull-behind or planning to rough it old-school in a tent, there is something for all types of campers. This spot offers camper cabins, sites with 30- and 50-amp hookups and tent sites, plus amenities such as an outdoor pool and a playground. As for attractions, it’s less than two miles to Silver Dollar City making it a great choice for any family! ocated near Branson Hills Golf Club, this site offers more than 150 RV sites, 50-amp hookups, a pool, spa and Wi-Fi. Best of all, it’s roughly a five-minute drive to Sight & Sound, which features “Samson” in 2018. Featuring 140 RV sites, tent sites and a selection of cabins, cottages and lodges, this campground has several amenities available. Extras include a pool, playground and an off-leash dog park. Conveniently located just five miles from downtown Branson and the Branson Landing. Visitors enjoy the park’s pool and free Wi-Fi, not to mention the spectacular views of the Branson area. Branson View’s location is just three miles off Highway 76, Branson’s Entertainment District and only five minutes from White Water. Full hook-ups for RVs and shaded camp sites; extras include cable TV, Wi-Fi and a clubhouse with a fireplace and deck are available at this location. Just two blocks from Highway 76, the park is less than a half-mile from the World’s Largest Toy Museum and the Tracks Family Fun Park (Track 5). Branson campgrounds are a great destination for outdoor family fun and they provide convenient access to some of Branson’s top attractions. See a full list of RV parks and campgrounds here.